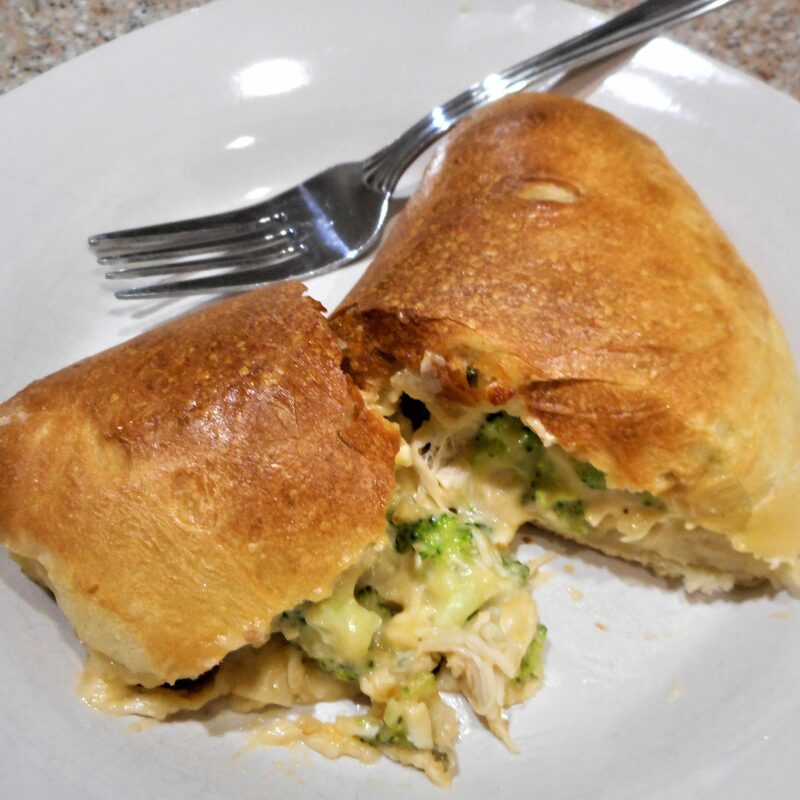 Bake up mouthwatering, cheesy broccoli and ranch calzones tonight. They are easy to do with store bought pizza dough, usually found in the bakery area. You can also find pizza dough with the refrigerated canned biscuits. In a pinch, you can use about 3/4 cup bottled Ranch dressing instead of making your own. 2. Cut dough into 4 equal portions; cover and let stand 10 minutes. 3. Combine buttermilk and next 8 ingredients (through garlic). 4. Steam broccoli 1 minute. Rinse with cold water; drain. Combine broccoli, buttermilk mixture, chicken, and cheese in a large bowl. 5. Roll each dough portion into a 6 1/2-inch circle. Place about 1 cup filling slightly off-center on each. Fold dough over filling; crimp edges to seal. Place on a parchment-lined baking sheet. Bake at 450° for 10 minutes. Brush with egg; bake at 450° for 10 minutes.